Quantity Surveying is a unique occupation and profession. It involves projects ranging from residential to commercial developments. They work closely with architects, financiers, engineers, contractors, suppliers, project owners, accountants, insurance underwriters, solicitors and courts and with all levels of government authorities. They are the Consultant within the team most directly concerned with obtaining ‘VALUE FOR MONEY’. At Executive College, our Diploma in Quantity Surveying programme is designed to equip and train the students with the knowledge of Construction Economics so as to enable them to perform quantity take-off, tender documentation and contractual services. Knowledgeable and technically competent in Quantity Surveying discipline in-line with the industry. 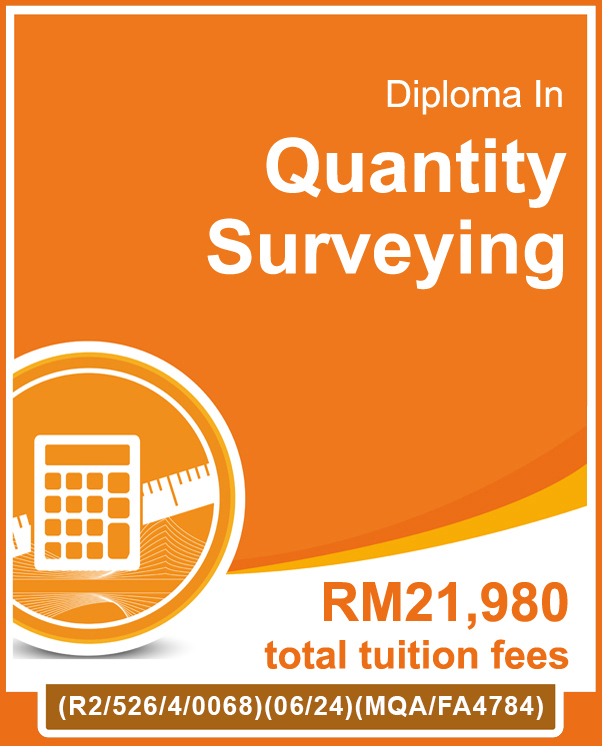 Enable them to undertake Bachelor Degree in Quantity Surveying related programme. Effective in communication and social skills, and demonstrate good leadership qualities in an organisation. Capable to solve quantity surveying related problems innovatively, creatively and ethically through the practice of quantity surveying profession. Able to demonstrate basic entrepreneurship skills and recognise the need of life long learning for continual career advancement. Acquire and apply knowledge of technological and managerial issues pertinent to a building technologist in quantity surveying field. Demonstrate comprehensive technical expertise in quantity surveying. Identify, formulate and provide creative, innovative and effective solution to quantity surveying problems. Communicate effectively both in written and spoken form with peers, other professionals and community. Understand and commit professionally and ethically, in line with the quantity surveyor’s code of conduct. Recognise the need for and to engage in life-long learning and professional development. Self motivate and enhance entrepreneurship skills for career development.